The large blooms of Rudbeckia Indian Summer create a sunny display in this Moosehorn garden. 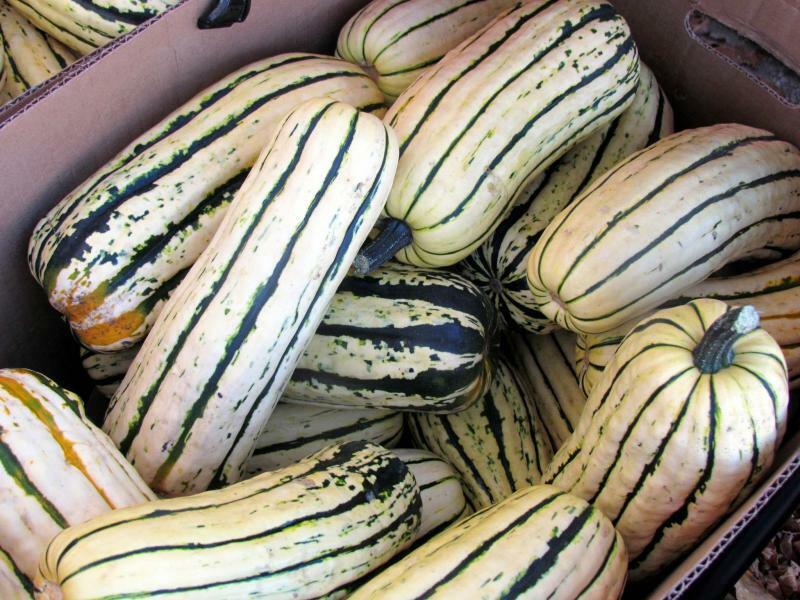 Cream-coloured Delicata JS Organic Squash is excellent for stuffing and baking. Looking for a juicy, crackless tomato variety with uniform shape and colour? Park's Whopper CR Improved delivers on all counts. Sweet success! Marilyn Redekopp grew Nimbus sweet pea this summer and was thrilled with the lovely, scented blooms. 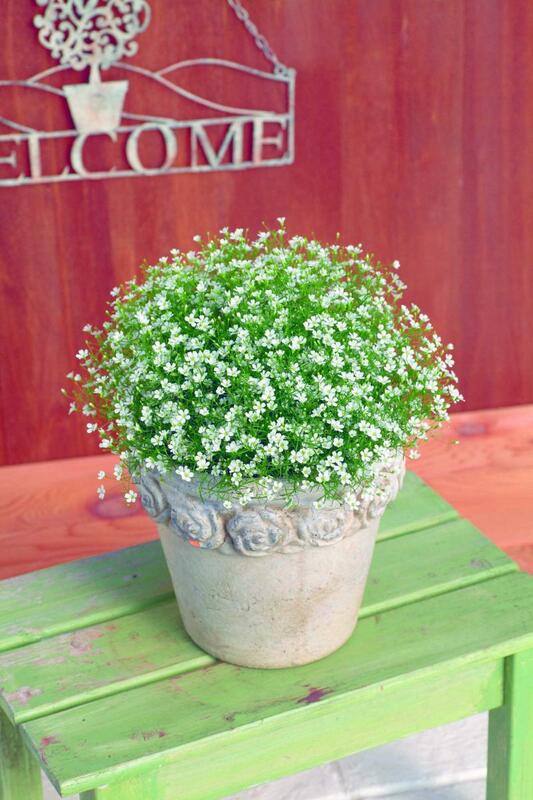 Gypsy White is an award-winning, compact Baby's Breath that is perfect in containers and flower borders. The moment we purchase an annual plant in spring or start a plant from seed, our expectations begin to build. Throughout the growing season, we evaluate a plant’s performance based on a number of criteria including colour; growth habit; heat and drought tolerance; and insect and disease resistance. Annuals are also rated for their foliage or blooms, and edibles for their delicious or unique flavour. Now is the time to make note of the best annuals and edibles in your garden this year so you can add them to your list again for next spring. Consider, too, these recommendations by Free Press readers who share their favourite plants of 2017. 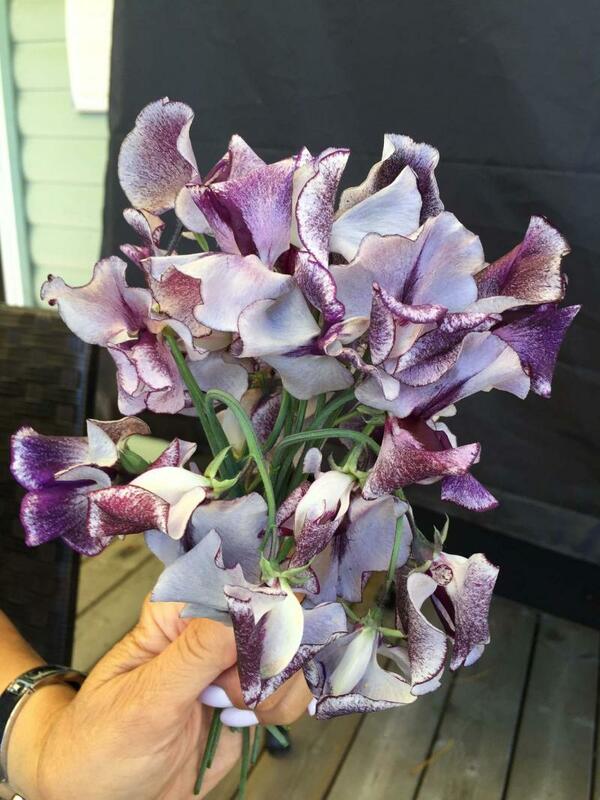 After reading about sweet peas and two varieties — in particular, Nimbus and Black Knight — described in my column earlier this year, Marilyn Redekopp and her husband decided to try both varieties at their cottage at Lake of the Woods. "We had great success with Nimbus sweet pea," says Redekopp, who was thrilled with the lovely and unusual blooms and their glorious scent. "I am hooked." Redekopp planted the seedlings in deep wooden deck boxes together with a tall row of chicken wire to serve as a trellis support. She added basil at the base of each sweet pea to shade their roots and keep them cool. 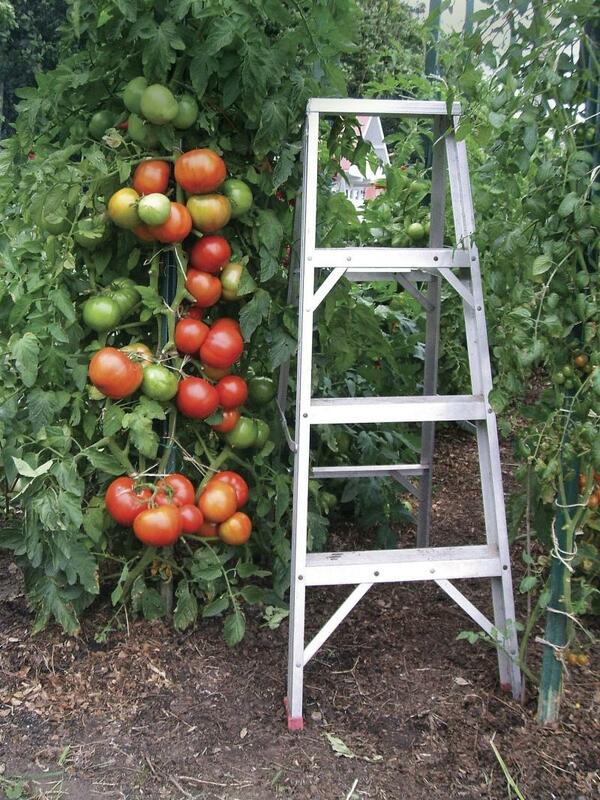 The plants quickly scrambled up the trellis, eventually outgrowing it toward the end of summer. Sweet pea seeds must be soaked 24 hours before sowing. Nimbus is a Spencer variety of sweet pea with large, inky-grey waved petals. Sweet pea Black Knight is an old-fashioned Grandiflora variety. Redekopp says the prolific blooms of Nimbus sweet pea were enjoyed by her family and were a stunning addition to the deck. Black Knight, however, proved less heat-tolerant and failed to thrive, producing only a few blooms. Dennis Rawluk has a sprawling property in Moosehorn where he grows a huge variety of annuals each year. Hands down, Rudbeckia hirta Indian Summer, a Gloriosa Daisy hybrid, is Rawluk’s must-have annual for his garden. 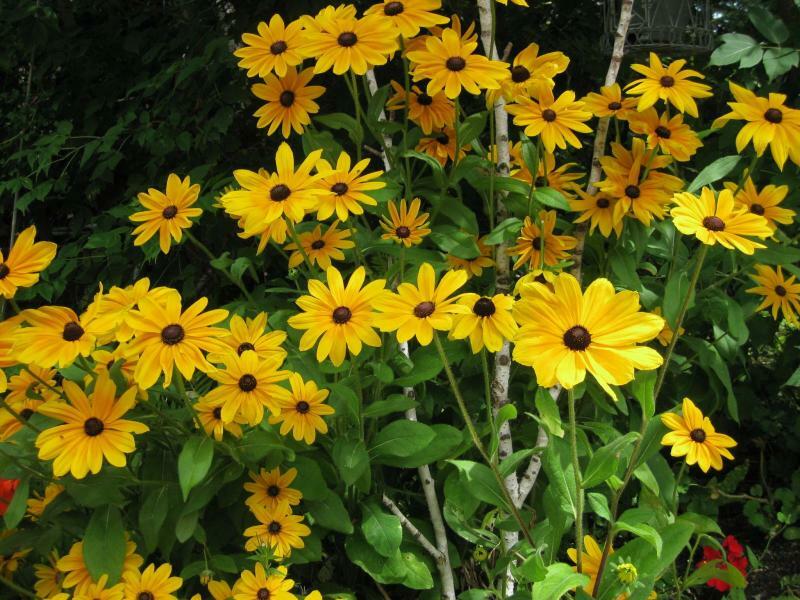 Commonly known as black-eyed Susan, Rawluk loves Indian Summer for its huge golden-yellow blooms (20 centimetres across) that surround a prominent, dark chocolate-coloured cone. "I place them everywhere for the colour," Rawluk says. "They never stop blooming until Jack Frost takes them and even then, only after a hard frost." Although long-blooming, Rudbeckia is often short-lived despite claims on seed packets or nursery tags that it is a reliable perennial. Fortunately, it will usually self-seed, Rawluk says. In fall, he leaves the stalks and seed heads standing for the winter and takes care to not weed out young seedlings that appear the following spring. Each February, Rawluk starts new plants from seed, which he buys from Lindenberg Seeds in Brandon. He plants the new seedlings among those that have self-seeded to ensure a good display. When a particular annual thrills us with its performance one year, it’s disappointing when it’s no longer available. The feeling is similar to when a favourite dish disappears from a restaurant menu — our appetite is whetted yet there is no satisfaction. That’s how Barb Sutyla felt when she fell in love with Cordyline fruticosa Hot Pepper last year, but then couldn’t find it again. Commonly known as the Hawaiian Ti plant, the cordyline is an exotic tropical with broad tapering foliage that is often striped. The size and growth habit of cordyline can be compared to that of a canna lily. Hot Pepper is a scintillating variety with glowing reddish-burgundy leaves. Sutyla planted hers directly into the ground. Cordyline is also beautiful as a potted plant or can be grown as a houseplant in a location with bright, filtered light. Cordyline is resistant, though, to the minerals (especially chlorine) found in tap water, which causes the leaf tips to turn brown. Use filtered water or water that has been left standing overnight. There are many cordyline varieties to choose from. Sutyla plans to make a special request for Hot Pepper. Sutyla was also captivated by the mysterious beauty of Pennisetum hybrid First Knight, an ornamental Napier grass that features the deepest, darkest, blackest foliage of any ornamental grass on the market today. Its upright, somewhat arching broadsword blades with purple-red midribs soar in height to a majestic 121 to 137 centimetres. No shrinking violet, it commands its space with a spread of 60 to 90 cm. Part of the Royal Collection from Emerald Coast Growers that also includes Prince and Princess, sun-loving First Knight is strongly tolerant of heat. There are, of course, many annuals that become our favourites. To name just one, I was impressed this year by Gypsophila muralis Gypsy White, which was carried this spring by Sumka Brothers Greenhouses. A Fleuroselect Gold Medal winner and All America Selections winner, Gypsy White is a compact, perfectly mounded Baby’s Breath covered in semi to fully double flowers. Simply adorable and reminiscent of a rounded bouquet, Gypsy White has many uses. Plant it at container’s edge, in a window box, in a hanging basket or along a sunny border. Growing your own edibles is more popular than ever, but so too is buying fresh, locally grown edibles. Colin Remillard, co-owner, Jardins St. Léon Gardens, gives top marks to a best-selling tomato called Park’s Whopper CR Improved. Remillard grew this juicy, crack-resistant tomato in his garden this summer and so did many of his customers. "What I’ve seen throughout the season is one of the most impressive tomato varieties in terms of fruit quality, ripening speed, quantity and, most of all, consistency." Remillard says all of the fruits on a single Whopper tomato plant were of the same size and shape. They ripened uniformly and all were crackless. "A beautiful variety," Remillard says. Britt Embry and Justin Girard operate Hearts and Roots, a certified organic farm in Elie. This was their first year as a CSA delivering weekly bags of fresh groceries including garden growlers for pick-up at the Forth café on McDermot Avenue. Girard says that this year Delicata squash was in high demand at Hearts and Roots’ market stand at the Downtown BIZ market. He and Embry grew the JS strain of Delicata from Johnny’s Selected Seeds. A unique, cream-coloured specialty squash with dark green stripes and flecks, Delicata has a sweet flavour and is excellent for stuffing and baking. Girard says he and Embry will definitely grow it again next year. They also plan to grow the Greenlof variety of Sugarloaf chicory. "It’s an excellent chicory that is surprisingly sweet, especially the interior blanched leaves," Girard says. A good choice for a fall green, Sugarloaf has already survived two touches of frost, Girard says. Kiwano Rund Jelly Melon, a spiky, jelly-filled cucumber proved to be unique in texture and flavour (it tastes like banana and lemon). "Definitely an experience," Girard says. "These were more of a curiosity than a staple, but food should be fun and pique your interest." Girard grew the jelly melons in his greenhouse, as they require a long growing season. Garden growlers will be available for the next couple of weeks. Visit heartsandroots.com for more details. Which annuals and edibles piqued your interest this year?